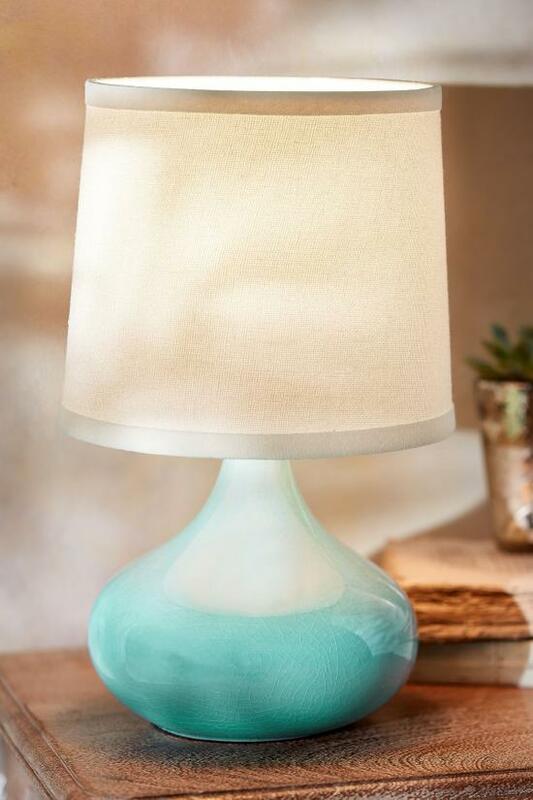 Finding its muse in the aquamarine sea and cloudless sky, this accent lamp is aptly named paradise. With an antique-inspired blue crackle glaze on a long-necked ceramic base, it is crowned with a simply tasteful linen shade with a slight taper. Soothing color and curves make this lamp fit into any environment. 8"W x 8"D x 13"H.
Ceramic base with blue crackle glaze. Off-white, 100% linen shade measures 8" dia x 7"H.
Uses one 60-watt bulb (not included).